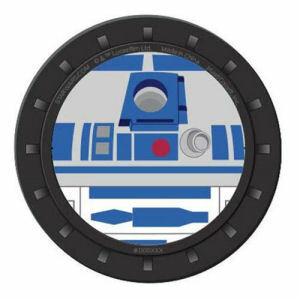 We have Just Sold out of Star Wars R2-D2 Auto Coaster 2-Pack. Not to Worry! Fill in the Notify me When Available and you will be the first in line for our restock of Star Wars R2-D2 Auto Coaster 2-Pack !! From the Star Wars collection by Plasticolor. Star Wars R2-D2 Auto Coaster 2-Pack. Each coaster measures approximately 3.25 inches in diameter and can be trimmed down to fit your cup holder.